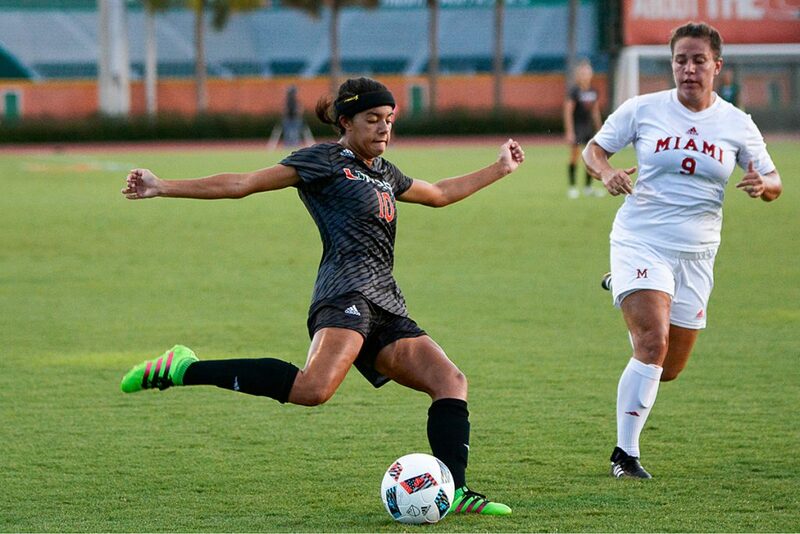 In a battle between two Miamis at Cobb Stadium Friday night, the Hurricanes defeated the RedHawks from Ohio, 1-0. The lone goal was scored in the 16th minute by freshman forward Dejah Cason off a cross from fellow freshman forward Kristina Fisher. Fisher drove the crossing pass from the corner and Cason leapt above her defender to head the ball into the back of the net. The Canes (4-1-0) took control of play for the final 30 minutes of the first half and headed into the locker room with a 1-0 lead. 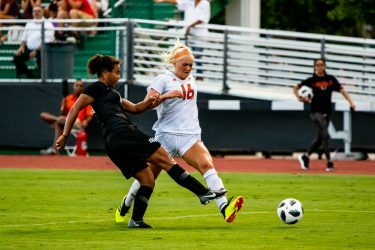 The RedHawks (1-3-0) fought back with heavy offensive pressure after the 55th minute, but could not manage a goal against the strong Hurricane defense. Back-and-forth play ensued for the better part of the second half. With five minutes remaining in the contest, defender Danielle Savage saved the lead, and ultimately the win, when she made a sliding block on an open-net shot from inside the Hurricane box. Both benches erupted in awe at the spectacular feat of athleticism by the redshirt sophomore. The timely save was instinctive for Savage. The Canes held the lead in the final minutes of the match to stave off the tough opponents from Miami (OH) University. 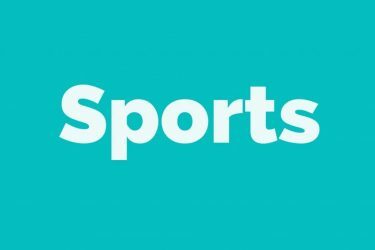 “We’ve had a lot of success early in the season and this was a good test,” Head Coach Mary Frances-Monroe said of her team’s performance. She gave goal-scorer Cason praise as well. 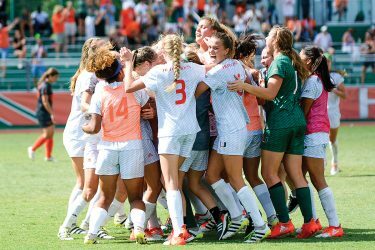 The Hurricanes return to action against FAU on Sunday at 1:00 p.m. at Cobb Stadium.